An automatic plant watering system indoor is one of the most important items that you need to have when it comes to maintaining a healthy-looking plant. However, there are a number of watering issues that you need to aware of. Usually an irrigation system may find problems in water supply, delivery system and electrical supply. Here are a few helpful guidelines that you may refer to before you choose for irrigation maintenance and service. Keep a check on the water supply of your watering system. Irrigation systems that are connected to a water reservoir should not face any water deficiency. If you are facing issues with water pressure or if the water supply is not enough to satisfy a complete irrigation cycle, you must consider to increase the water supply to maintain proper irrigation. Increasing the water supply with the use of a larger tank can possibly solve such issues. 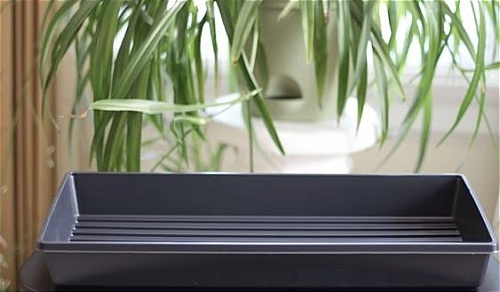 The purpose you need an automatic plant watering system indoor is that if you are traveling or need to go out for couple of days, then nobody will taking care of your plants. This may caused your plants dry out when you come back. Thus, this is the perfect system to solve your problem. What you need to get are something like porcelain or ceramic material spikes. You can get them wet by soaked or filled them with water. You can then stick them into the soil. At the other end you have a tube that can put into your water reservoir. Ideally, it is good to prepare one gallon of water per plant. 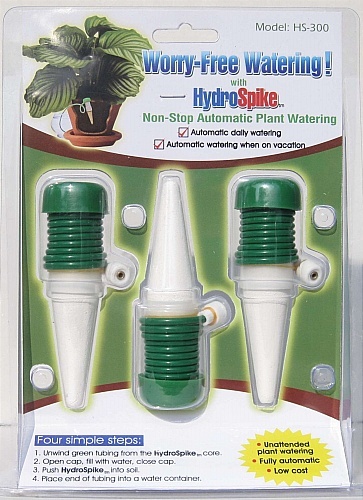 The hydro spikes can help to distribute water for your plants and flowers at the pace that the pots used water. Said for one gallon of water, you can dispense about one third of the water each day if you are leaving home for 4 to 5 days. You can insert the hydro spikes into the soil. By doing so, you will be able to keep the soil hydrated for about 3 days when you are not around. Leave it without water for 2 or 3 days should be fine. If you leave your plants by not having water for a week, your plant will not going to survive and will die when you come back. 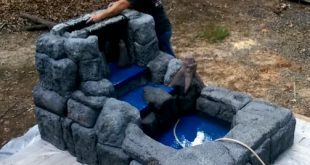 If you are having different medium compare to the rest of the plants where the soil can dry out very fast, then you may just prepare for more than one gallon water. The hydro spikes you can get for are very cheap in price like $9 for 3. You can just buy the amount of spikes that you want according to the amount of pots you have. But it is advisable for you to buy more than what you need to make them as spare. You can have them overnight by simply pop them into the soil of your pot. 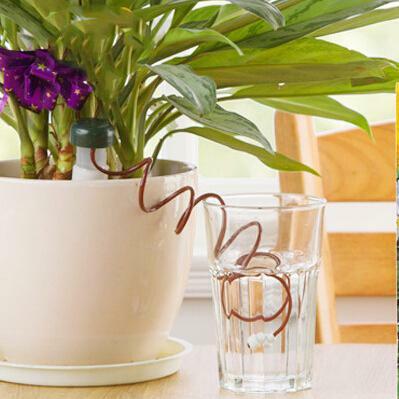 Basically, they will do their job well when you are going for vacation without having to worry about your plants. They are temporary indoor automatic watering system which is very helpful when you are on emergency when nobody can help you to take care of your plants. The only complaint that you may have is the tube is built with light material and when you stick them into your water reservoir, they tend not to sink to the bottom. You may need to add some weight on the tube like having a fishing weight attach to the tube to make it sink all the way to the bottom. Another thing that you need to aware of is every single spike that you take out, you need to blow through them to make sure the tube is clear as some of the spikes may get obstructed which may cause them not able to get any water flow through. Therefore, it is advisable for you to buy more than you need since they are not expensive.